Liberia’s acting police director has expressed confident that the country’s police is able to maintain peace and security. Col. William Mulbah’s comments made last Wednesday were intended to assuage fears that the drawdown of forces of the United Nations Mission in Liberia (UNMIL) would create a security vacuun. 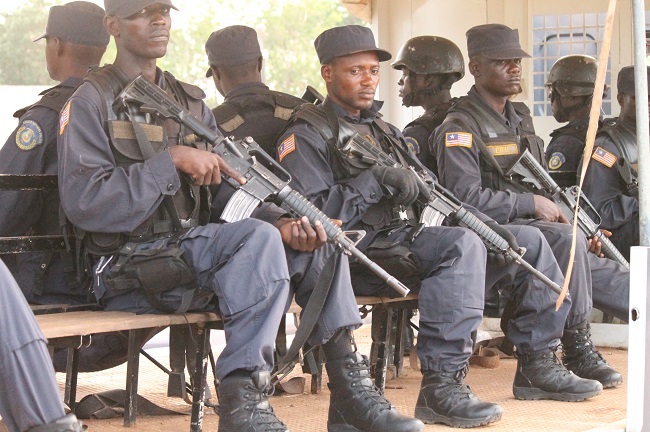 Several reports, including those of the US State Department and the UN Security Council, have expressed doubts about the ability of Liberian security apparatus to handle the raising crime in the West African nation. But Col. Mulbah, who spoke at programs marking International Women’s Day, said the national police force is in full readiness to fill the gap when their UNMIL counterparts depart the country. “No need to worry when UNMIL departs. We are up to the task in maintaining law and order if we are fully supported by the government as well as our international partners,” Col. Mulbah pointed out. He commended UNMIL for 10 years of stability in Liberia, adding however that Liberian police officers were in the forefront in combating crime across the country.